I had GREAT fun this past weekend with the Grow Your Blog Party. I have met SO MANY wonderful people and have seen such exquisite work and great blogs! Thank you very much to Vicki of 2 Bags Full for coordinating this. I am quite sure it was an overwhelming amount of work! Looking forward to seeing more of the beautiful work that I saw last weekend. 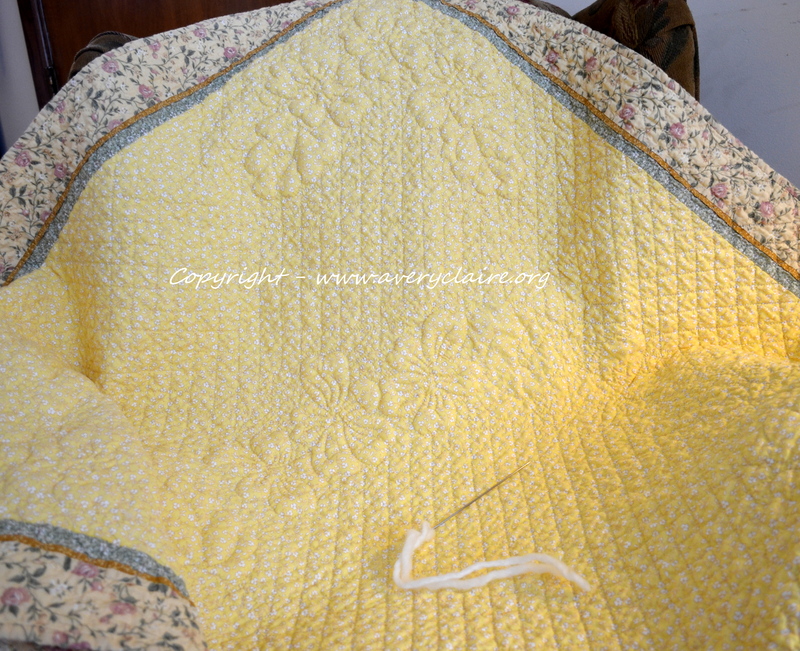 Yes…my yellow whole cloth quilt is almost completed. I took it off the frame last week, squared it up and put on the binding. Then it was soaked and washed (to get all the pencil marks out). I love the look of it being all crinkled up nicely just like an antique quilt! To be honest, I was TERRIFIED that some of the pencil marks might not come out. 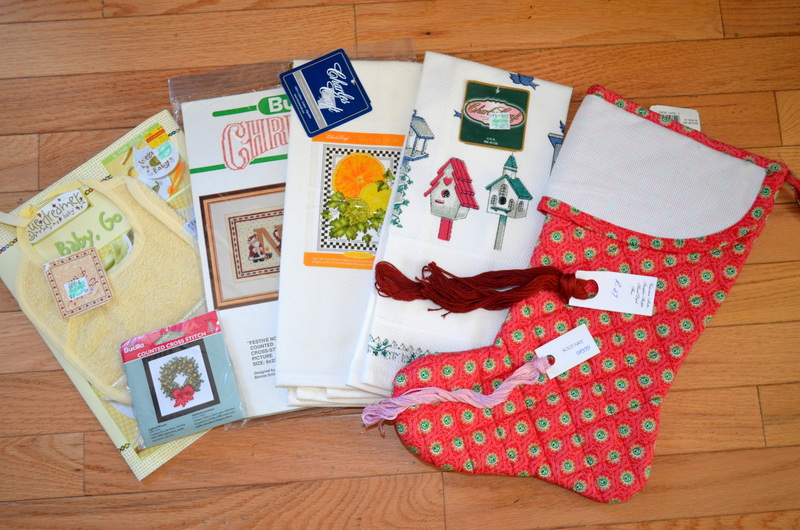 This was a quilt I had begun years ago and stuffed in a drawer until last spring. I took it out re-marked some of the lines and finished hand quilting it a couple of weeks ago. Luckily all of the pencil lines disappeared. I am working now on trapunto-ing the flowers and leaves (corners and center circle). It is not taking as long as I thought it might…goes rather quickly. Ahhh….I will be able to check another UFO off of my list! I am in love with this new addition to my quilt collection! 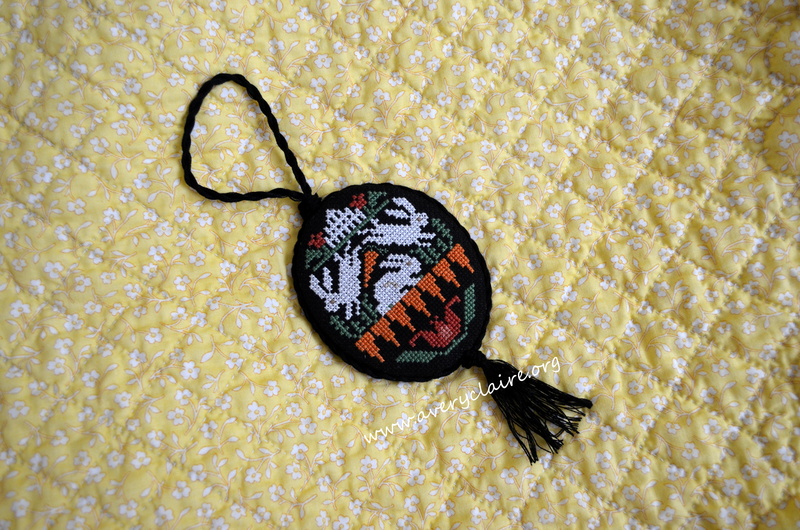 Also finished this small cross-stitch done on 32 ct. linen, finished with twisted pearl cotton and has a wool back. 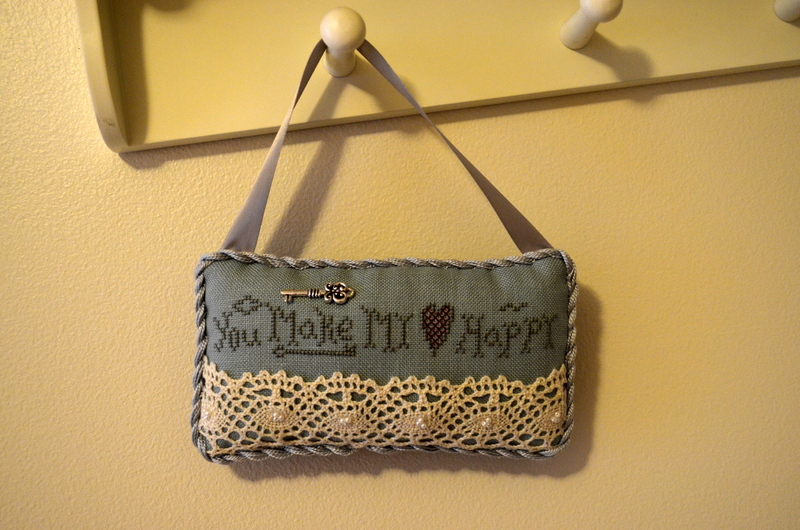 The pattern is from Homespun Elegance and is called “You Make My Heart Happy.” I made this small gift for a dear friend who lives in France, Maggy, for her birthday. 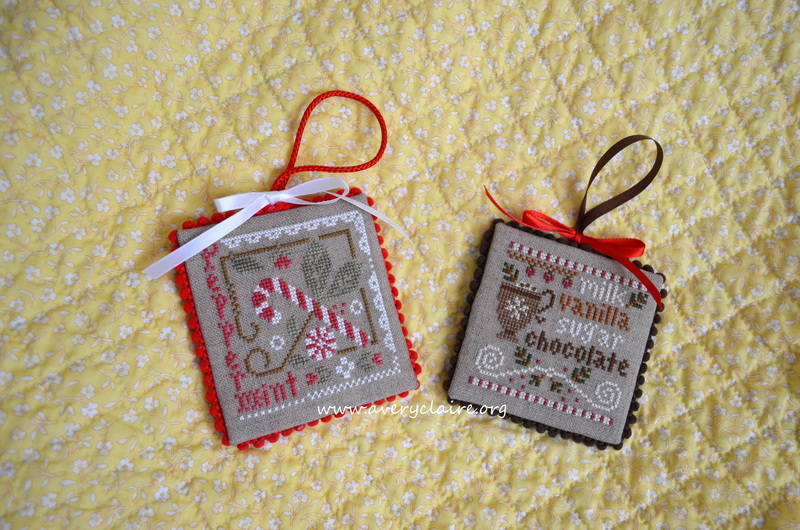 It can be used as a pincushion, a door hanger or a small wall hanging. She received it in the mail last week and loved it. Thanks again to all of you who stopped in to visit my blog during the blog hop…and to all those to signed up as regular visitors. I am delighted and honored. I hope to see more of your lovely work soon.